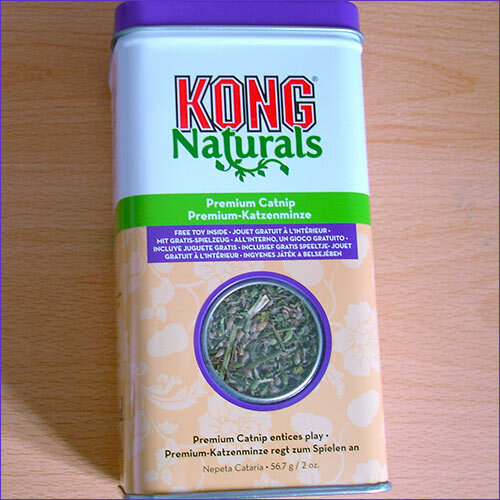 PREMIUM CATNIP 56.7g (2oz) tin from the Kong Naturals range. Ideal for stuffing catnip toys, rubbing into soft cat toys or just sprinkle some on the grass for your cat's delight. 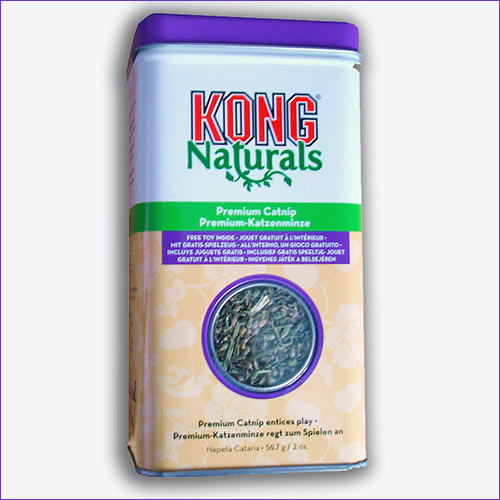 Over 80 percent of cats love the smell of catnip, as it gives them a natural feeling of wellbeing and happiness. This tin contains 56.7g (2 oz.) of pure, premium catnip. Every purchase helps more cats out of shelters - into homes. Thank you!